One of the earliest and most important functions of an ERP system is generating quotations. 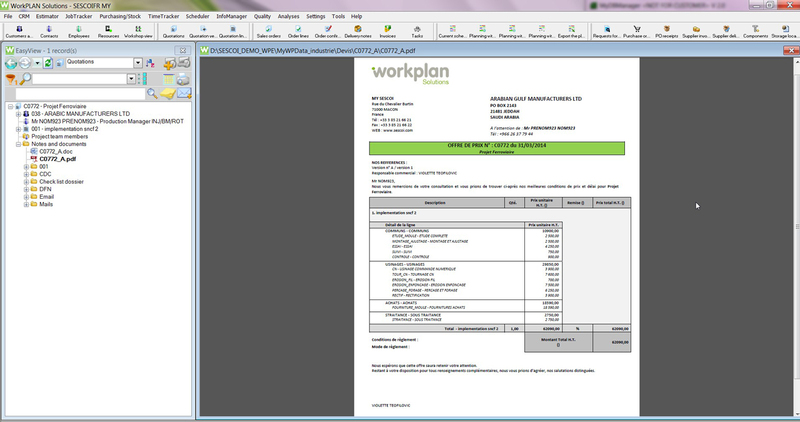 WORKPLAN provides easy tools so you can not only streamline your quotation process, but make it more efficient as well. WORKPLAN’s quotation module benefits from a knowledge database with technical criteria to easily search and optimize the quotation process based on past experiences. 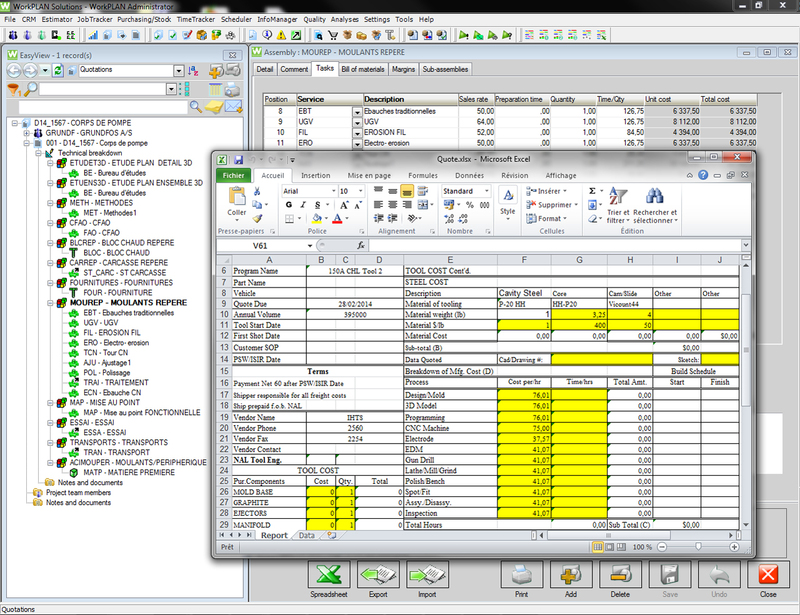 Capitalize on existing and profitable jobs, readapt the budget of your industrial services and customize your existing Microsoft Excel® spreadsheets into WORKPLAN using the Excel Interface. 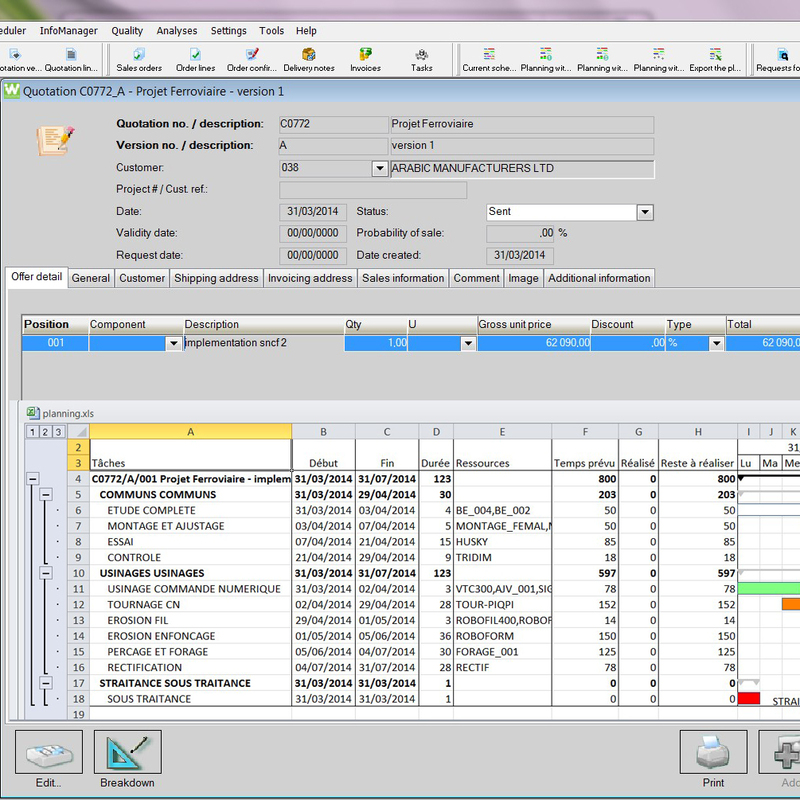 This native link simplifies the way to use the quotation module, the final user keeps working with tools which are familiar to his current sales process but optimizing the treatment in a common database that he can share with other users. You can create one template for each production type and link it to WORKPLAN in order not to enter the information twice. New quotes can be issued quickly and accurately within a short time frame increasing your reactivity. 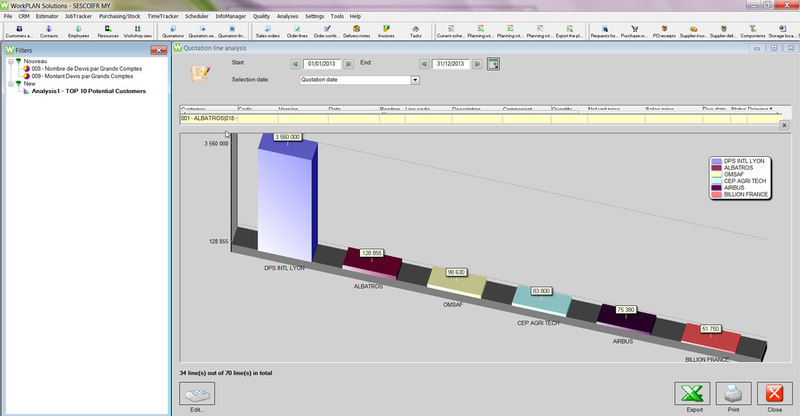 WORKPLAN’s native connection to 3D files using WORKXPLORE 3D product will help you make more accurate quotations. Load and analyze all your digital 3D CAD data directly with WORKXPLORE, measure draft angles, distances, thicknesses, radii and create the bounding boxes to clearly estimate the raw material budget. 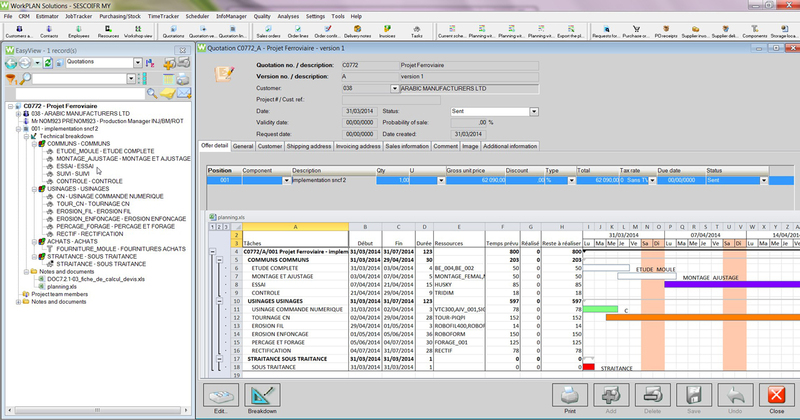 WORKXPLORE will recover the complete assembly tree that can be imported in one shot into WORKPLAN. 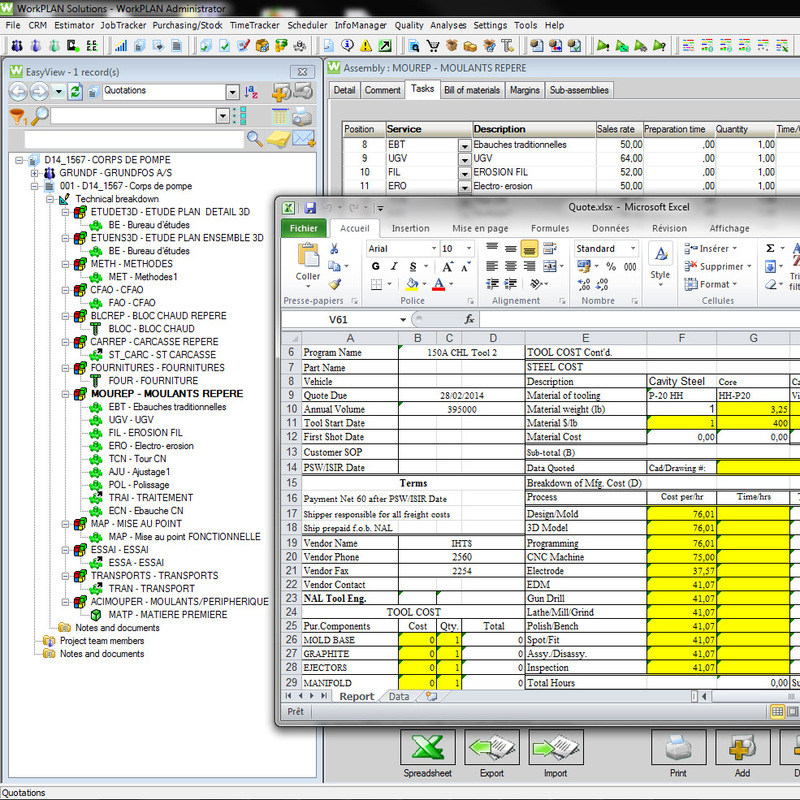 The 3D CAD Part and each 3D file linked to a part of the assembly tree is linked into WORKPLAN with an integrated 3D viewer. The Advanced Bill of Materials option can be used without any WORKXPLORE 3D licenses, this allows simple importation of BOM data related to one project through a customized .csv importation process. 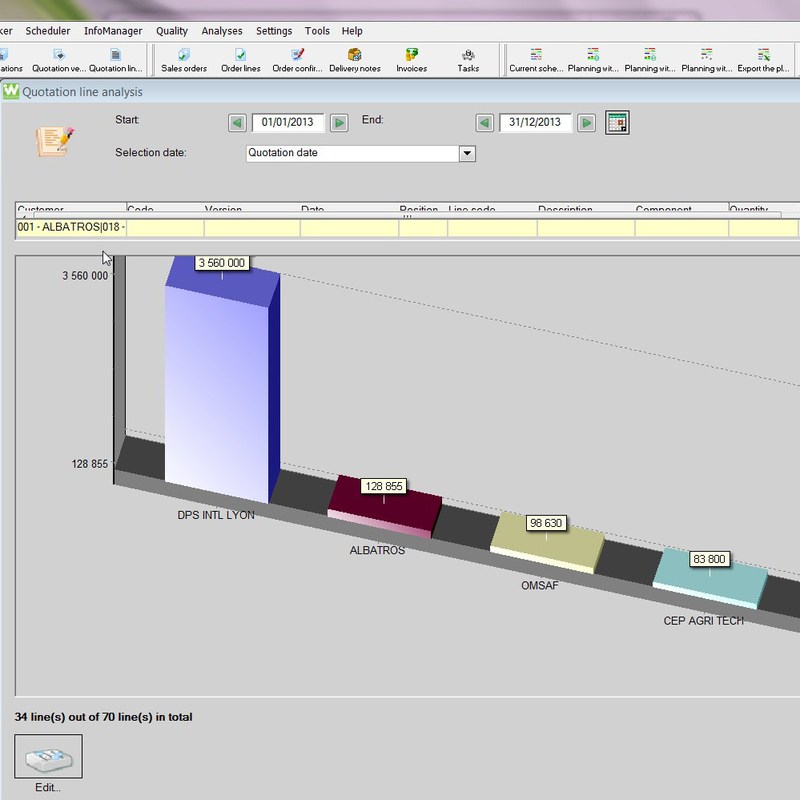 This automatically integrates the data into your quotation or jobs, streamlining the process. Keeping track of the versioning and options quoted is fast and straightforward, WORKPLAN manages the differences from one version to another one. Quoting repeatedly a job due to engineering changes and adapting quotations for the same type of part but for another customer has never been so easy. 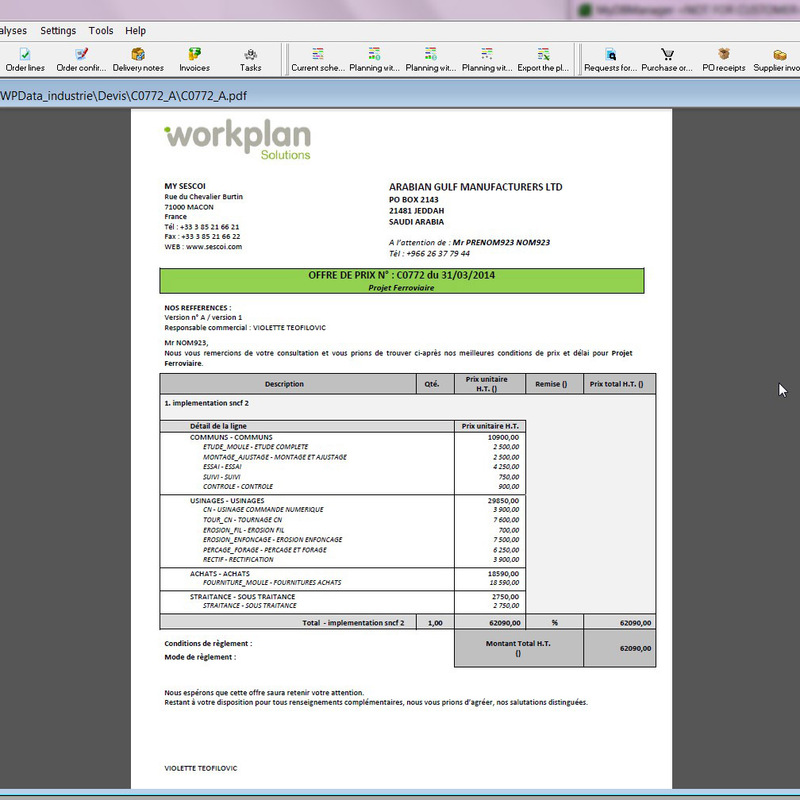 WORKPLAN allows you to fully design & customize your output in several different formats such as e-mail sending directly in pdf, Word document, Excel report, ready to be printed or emailed to your customer.